that their eyes looked like them. Fill a pan with water and bring it to a boil. Add whole eggplants and continue boiling 20-25 minutes until soft. 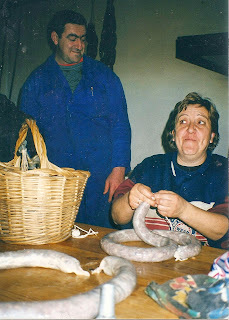 Remove the flesh leaving the skins whole. Heat a frying pan. Add 2 tbsp virgin olive oil. When hot sauté lamb unti browned. About 10 minutes. Remove lamb and knead it with the seasoning and the flesh from the eggplants. Separate whites from the yolks. Beat the whites from 8 eggs. Then beat the yolks from 6 eggs. Mix the yolks with the stuffing. Fold in the whites. Stuff the eggplant skins with this. Put a sufficient amount water in the 1st pot to cover the ingredients listed. Bring it to a boil. Add half of the stuffed eggplants. Cook 30 minutes. In the 2nd pot add enough water to cover the chickpeas. Bring them to a boil. Simmer, boiling gently for 15 minutes to 2 hours depending on the size of the peas. Add the other half of the stuffed eggplants ½ hour before the end of cooking time. In the 3rd pot mix the ingredients for it sauté until the onion is translucent. Place the ingredients from the 1st pot on one end of a platter. Add those from the 2nd pot on the other end and garnish them with chopped hard-boiled egg yolks and rue. Sprinkle them with aromatic herbs. Put the ingredients from the 3rd pot in the middle of the platter and garnish with egg cooked with rue and sprinkle it with rosewater, spices and pepper and present it. 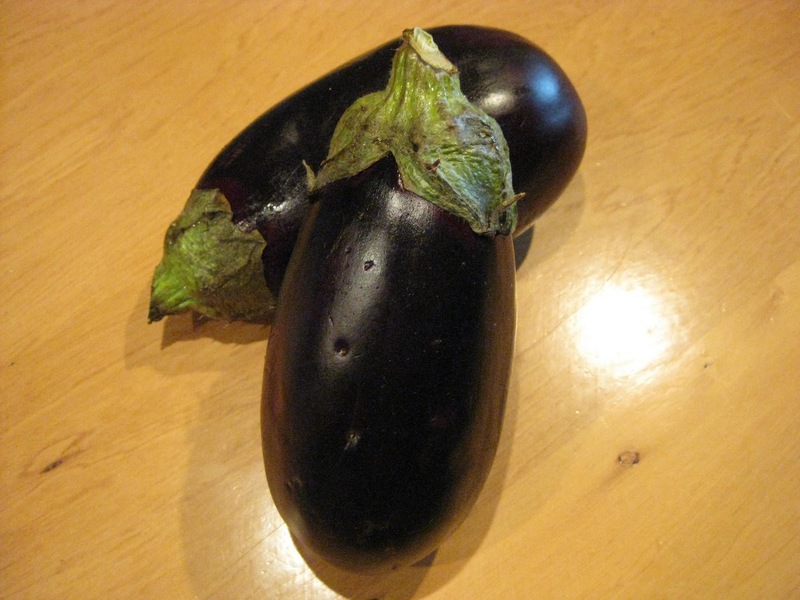 *Traditionally today, stuffed eggplant is baked at 350º F / 175º C for 20 minutes and is topped with grated cheese. The latter does not appear in Spanish culinary books until the 15th C with Nola. It could be that Jews did not have ovens as the Sabbath Day meals were cooked in bakeries over night. Storks return to their nests in Ibera every spring and add to them, thus becoming a real problem because the weight of the nests can increase from 130 to 550 lbs over the years. Cervantes knew the town of Trujillo well in Caceres, Extremadura, Spain well where today storks are a delight to German bird watchers over Easter but a terror for owners of palaces and church goers as the weight of the nests crushes the roofs of the edifices.